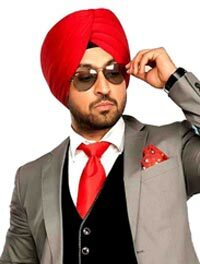 Diljit Singh Dosanjh commonly known as Diljit Dosanjh is a Punjabi film actor, singer and television presenter, who works in Punjabi and Hindi cinema. He is recognized as one of the leading artists in the Punjabi music industry. He also acts in Punjabi movies, with many of them being noticeable hits, including 2012 film Jatt & Juliet, 2013 films Jatt & Juliet 2 and Punjab 1984, 2015 film Sardaar Ji, and the 2016 films Ambarsariya and Sardaar Ji 2.which are counted among the most successful Punjabi movies in history. His first recorded mainstream performance was his solo track and music video Ishq Da Uda Ada from his 2000 album produced by Fine tone Cassettes. He made his bollywood debut with Udta Punjab in 2016 for which he earned Filmfare Award for Best Debut (Male).